This time of year, many of us enjoy spending time outside in our yards. Whether we are playing, dining, doing yardwork or simply relaxing, our time outdoors can be ruined by pesky insects. There are many remedies for getting rid of the annoying little pests, but if you are looking for natural way to do the job, here are several plants you can put in your yard that will repel unwanted insects. While they will not guarantee an , they will help! BASIL – Basil repels house flies and mosquitoes. Use containers for planting basil by your house doors or in any outdoor areas where you like to relax and entertain. It will serve more than one purpose because you can also use the fresh basil in your cooking! LAVENDER – This pretty plant repels moths, fleas, mosquitoes and flies. Its pleasing, sweet fragrance appeals to humans, but the bugs hate it! You can place bouquets inside your home to keep flies away. Outdoors, plant it in sunny areas or near the entryways of your house to keep those areas pest free. 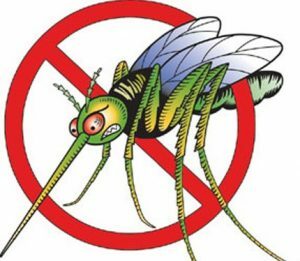 Check out the Everything Lavender website to find out how you can use lavender oil to make your own mosquito repellent. LEMONGRASS – Lemongrass contains the natural oil, citronella, which is commonly found in candles that are used to keep mosquitoes away. Ornamental lemongrass can grow up to 4 feet tall and 3 feet wide in one season. It is an annual that does well in a pot or in the ground in sunny, well-drained locations. Its aromatic, narrow leaves can be used in chicken and pork dishes and to flavor soups and salad dressings. Many Asian recipes call for lemongrass. MINT – Another plant that mosquitoes don’t like. It’s best grown in pots rather than in the ground because it spreads aggressively. Once established in a garden, it can be difficult to remove. The leaves can be used to flavor Minty Iced Tea. Containers of mint strategically placed in the garden or on the patio will assist in keeping nearby plants insect free. ALLIUMS – If you have a vegetable garden, beautiful, tall alliums will help keep insects out of it. Considered a broad-spectrum natural insecticide, plants in the Allium family repel several insects that plague vegetable gardens, including slugs, aphids, carrot flies and cabbage worms. PETUNIAS – These whimsical beauties repel aphids, tomato hornworms, asparagus beetles, leafhoppers and squash bugs. Some people think of them as “nature’s pesticide”. Popular because of their availability in a variety of bright colors, they require minimal maintenance and can be grown in numerous locations including beds, containers and hanging baskets.